Creative music should challenge us, make us think and move us forward. Music can make one's life better and fuller, one of life's greatest pleasures. The National Endowment for the Arts has announced its selection for the 2014 Jazz Masters. 4 men who have contributed much to creative music over the last 5 decades have been chosen; included are Jamey Aebersold (saxophonist, pianist, educator), Richard Davis (bassist, educator), Keith Jarrett (pianist, composer) and Anthony Braxton (composer, reed player, educator, author). Unless you have totally ignored American creative music since the 1960s, these names should be familiar (save for the first person). Since 1967, Jamey Aebersold has produced over 130 "Play-A-Long With..." records and books. The recordings allow musicians of all stripes to work alongside great rhythm sections performing standards and jazz compositions (without the leader), a DIY educational experience. He has taught Summer Workshops for decades and tours with his own Quartet. Richard Davis, a native of Chicago, has been a working musician for the better part of 6 decades. The 83-year old bassist has appeared on a number of classic Lps, including Eric Dolphy's "Out To Lunch", Booker Ervin's "The Song Book", Joe Henderson's "In 'n' Out" and on 8 recordings with the pianist/ composer Andrew Hill. His work on these and other classic recordings displayed his understanding of counterpoint and revealed a desire to more than just a timekeeper. Davis has also had a career in classical music where he has worked with many major orchestras. Keith Jarrett...hmmm..what can one write that has not already been written. He has received numerous accolades, has led several classic ensembles, worked with Miles Davis and Charles Lloyd before moving out on his own, and, thanks to his 40+ year relationship with ECM Records and Manfred Eicher, has ventured into classical music and more. Ahh...Professor Anthony Braxton...he has lived in my hometown of Middletown, CT, since coming over 20 years ago to teach at Wesleyan University. I have seen and heard him plays with many different-sized ensembles and we have chatted on countless occasions about many different topics (sometimes even music). His influence on musicians such as Kevin Norton, Taylor Ho Bynum, Mary Halvorson, Carl Testa, Andrew Bauder and countless others is immense; his work and ideas inform much of today's creative music. He must get a quite a charge about being named a "Jazz Master", considering all the negative reviews early in his career and audiences walking out of concerts. Mr. Braxton has persevered for any number of reasons but, I think what is most significant about his music is that he has always acknowledged the influence of those musicians who moved Black music forward, those who "made it" and those who struggled to be heard. Although he is retiring from formal teaching in the coming year, Anthony Braxton will continue to blaze new trials in creative musicians. To find out more about the NEA Jazz Masters program and what it entails, go to www.nea.gov/honors/jazz/. The Induction Ceremony takes place on Monday January 13, 2014 at Jazz at Lincoln Center and will be webcast - more information to follow. The Uncertainty Music Series, curated by bassist/composer Carl Testa, will present 4 concerts over the next 6 weeks beginning this Saturday July 13. On that day, the UMS presents a double bill starting at 8 p.m. with a solo bass clarinet performance by Chicago-based musician/performance artist Alejandro Arcieto followed by the duo known as Blister performing a work titled "Just Who Are the Banksters - a meditation on the greatest transfer of wealth ever concocted" Blister is Lucio Monegon (guitar, stuff) and David Grollman (snare drum, things), both of whom manipulate sound and words to get their message across. The play with sound, fury, delicacy and noise. To find out more, go to kingtone.com/blister/. The performances take place at Never Ending Books, 810 State Street in New Haven. To find out more about the series, go to uncertaintymusic.com/. 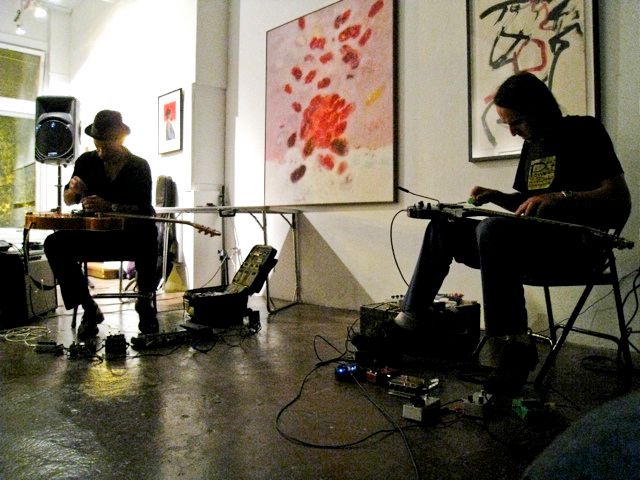 Carl Testa has a new CD, "IRIS"(Lock Step Records) and will be presenting a CD Release concert Friday July 12 at 8 p.m. in the Douglass Street Music Collective, 295 Douglass St, in Brooklyn. The following Friday (7/19), Testa will hold a CD Release concert at 8:30 p.m. in the performance space at Firehouse 12, 45 Crown Street in New Haven. To find out more about those shows and more, go to carltesta.net/performances.htm. Finally, Carl and I had a pleasant chat about his music and more that I will be posting on the WLIS/WMRD website in the next day - I'll keep you notified. Andy Bey, pianist and vocalist, has been performing since he was 8 years old (in a group with saxophonist Hank Mobley, no less!). His first recording was issued when the Newark, New Jersey, native was 13 and, at the age of 17, he formed a group with his sisters. After that group disbanded in 1967, Bey went on to work with Horace Silver, Max Roach, Duke Pearson and others. After one solo date on Atlantic Records in 1970, Bey recorded infrequently until "Blues, Ballads and Bey" appeared in 1996. His stunning baritone had gotten deeper and his range expanded (4+ octaves) - he's released several CDs since then and just keeps getting better. 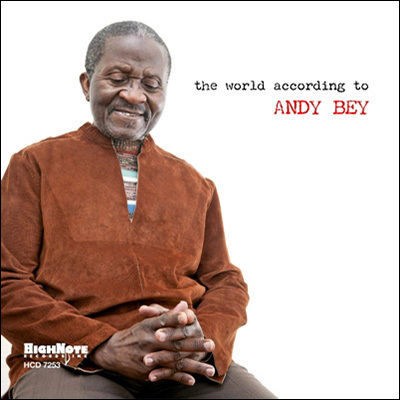 "The World According to Andy Bey" (HighNote Records) is his new CD. 11 songs, 4 originals, 7 standards (including 3 by George Gershwin, and just voice and piano. But, what a performance! Bey has stated in interviews that he is greatly influenced by the blues, gospel and jazz singers (especially Billy Eckstine and Nat "King" Cole.) Those influences have all been absorbed into a style built around clear vocals and piano accompaniment that is more melodic than ornamental. Bey is a dramatic singer yet not overtly so - when you listen to his bittersweet reading of the Gershwin's "But Not For Me" (with the original opening intro), it's amazing how deeply soulful this song is. He can certainly be playful, as he shows on Fats Waller's "The Joint is Jumpin'" with a minimalist approach to the piano that, at times, sounds like Randy Newman. His piano playing is more expansive on "S Wonderful" but he rarely lets his left hand fall into a "swing" rhythm. Ira Gershwin supplied the lyrics to Harold Arlen's handsome melody for "Dissertation on the State of Bliss" (penned for the 1954 Bing Crosby movie, "The Country Girl."). This bluesy sermon is sad yet worldly-wise and one truly feels Bey is singing directly to him. As for the originals, they include the scatting bop fun of "Dedicated to Miles" and a soulful "The Demons Are After You", a piece with a riff that could have come from a Gil Scott-Heron song and a message of personal and artistic freedom. A sweet groove leads one into "There's So Many Ways to Approach the Blues" (a good alternative title for this program) - the singer describes all the different "blues" a person might encounter in his life and does so with his most spirited vocal. The combination of the "blues" vocal and abstract piano lines makes for fascinating counterpoint. Listen to the variations on the line "There is really only one way/One way/There's really one way/Tell the truth/Tell the truth" that takes the song to its finish - it's breathtaking. "Being Part of What's Happening Now" also has a socially-conscious message about a "positive change", about exploitation of people and natural resources, and this world has "a price most of us have to pay for success." www.sachalvasandani.com/latest/article/happy_bday_full_andy_bey_interview/. There is also a link to the CD (plus song samples) at www.jazzdepot.com. "Young People Speaking Their Minds"